Fries may be one of my favorite things to eat. The options are absolutely endless when it comes to seasoning and how to cook them, but the biggest change-up is with what you decide to make them with. 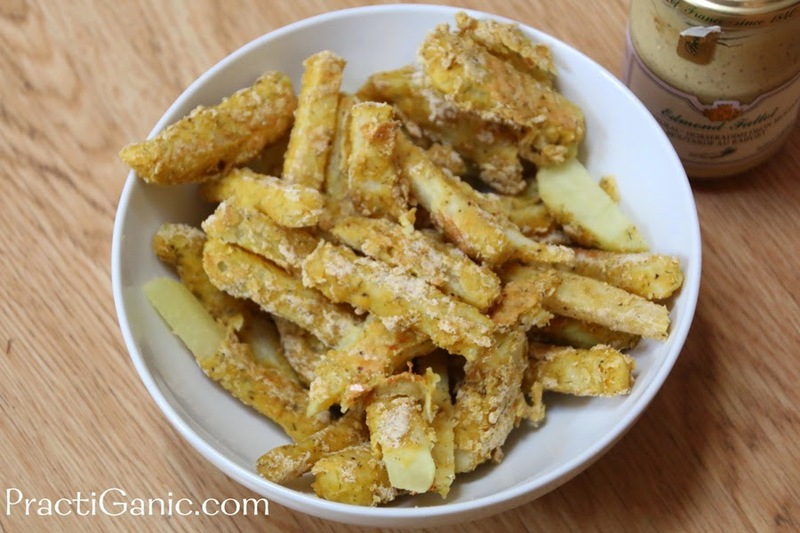 Potatoes are the obvious answer, but fries can be made with eggplant, zucchini, avocado, carrots ... seriously, about any vegetable. However, in the summer months, kohlrabi fries are my favorite. Last year, when I was working as a worker share at my CSA, a few workers commented that most share owners don't like to get a lot of kohlrabi. I was shocked! 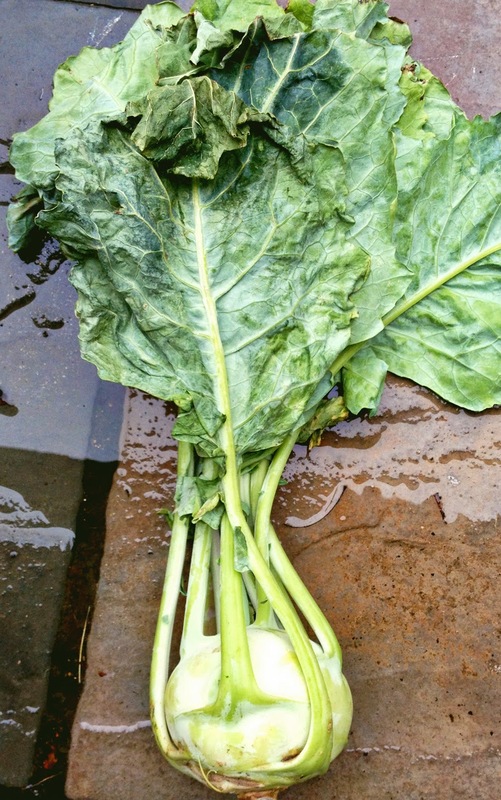 Most people see kohlrabi and just see it in it's raw form to munch on as a snack. 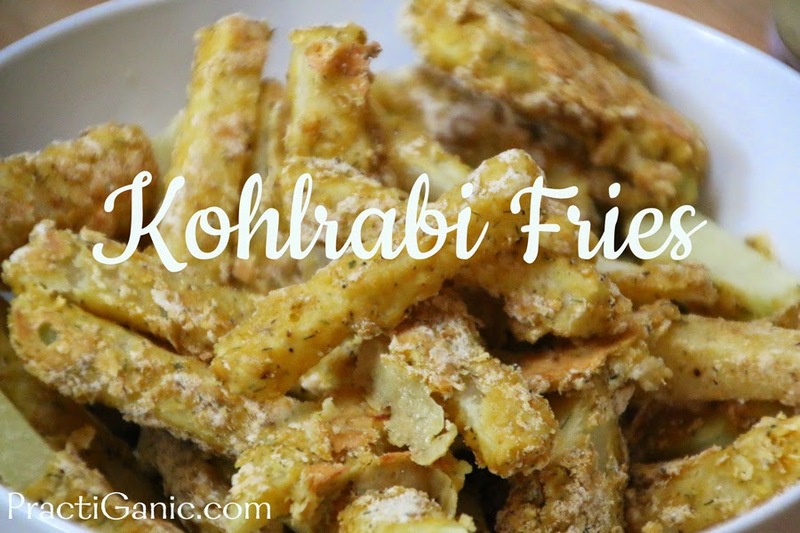 Not only is kohlrabi great in it's raw form, but making fries are the best! Don't forget about the greens either. They are great in salads, but even better sautéed with a little garlic, salt and pepper! Peel the kohlrabi, removing the exterior. 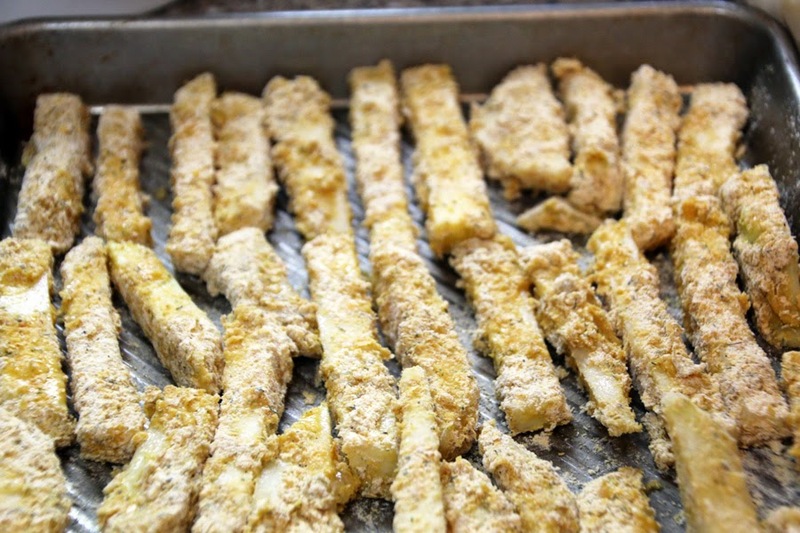 Cut into matchstick fries. In one bowl, beat the eggs and lemon juice. In the other bowl, mix flour, nutritional yeast or parmesan cheese, salt, dill, pepper and garlic. 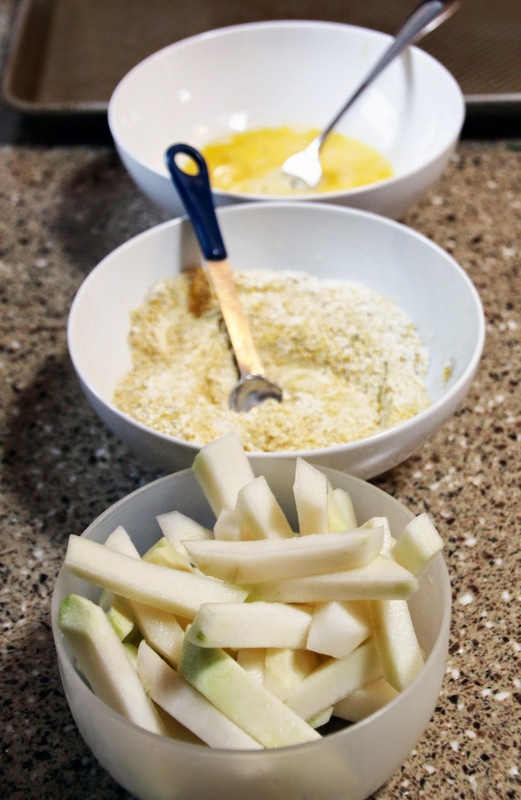 First, dip the fries into the flour mixture, then in the egg and then back into the flour mixture a second time. This gives them a nice crispy coating. Spread them on a sheet tray and bake at 375° for 15-18 minutes. Pair them with a favorite dip or just start eating!